This time five years ago, my life turned topsy-turvy. My husband and I were winging our way back from a month-long holiday in Finland and Romania. What lay ahead during the next ten days was crazy, and looking back, I can’t believe I accomplished what I did. We had gone to Finland to attend the wedding of my youngest son. Kyle and Tiia were legally married in court during April 2012, but their actual wedding, when they truly became man and wife, happened on July 7th on the banks of a lake beside a forest in the middle of Finland. The fathers of the bride and groom married them—one in Finnish (with English translation); the other in English (with Finnish translation). After their wedding, hubby and I spent ten days at a summer cottage in the south of Finland (which became the storyworld of my first published novella, Helsinki Sunrise). What makes this book even more special to me is that Kyle and Tiia became my cover models for this story published by Pelican Book Group. Currently, Helsinki Sunrise is being translated into Norwegian and will be published by Hermon Forlag. Unfortunately, I don’t have a release date yet (hoping it’ll be soon as news of this translation came a year ago). Finally, following the wedding and summer cottage experience, which was shared by about 15 young people—friends my son and daughter-in-law had made during their tenure at OM missions training the previous year—we spent a week in Romania helping to build houses for the gypsies. When I landed back home in South Africa, I hit the ground running. Between returning to work for a few days, I had two weddings that I was organising—doing the décor, flowers, table settings, and at one wedding, even the food. The full Monty! 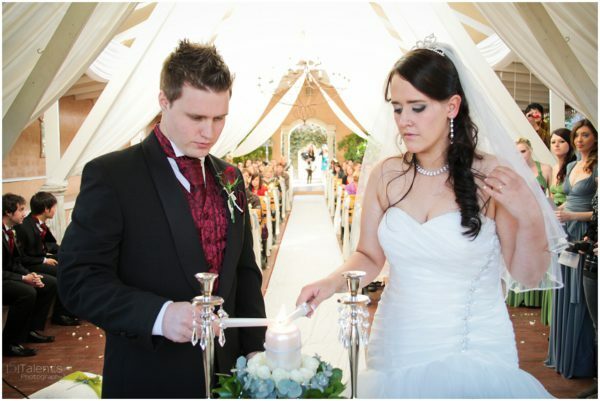 Kyle and Tiia were to have a South African wedding (yes, that makes their third wedding in almost as many months), and three days later was my oldest son’s wedding. All I can say is that between setting up and cleaning up after one wedding, then going straight into preparing the next wedding, I had little sleep until the weddings were over. The two weddings couldn’t have been more beautiful, or more different. Third time around, Kyle wanted something low-key, so we did a picnic wedding on my sister’s farm complete with picnic baskets and a lamb-on-the-spit for the meal. The wedding was about to start and I was still trying to have my hair done. I think I started getting ready perhaps a half-hour before the wedding. Almost the thing same happened at Ryan’s wedding. 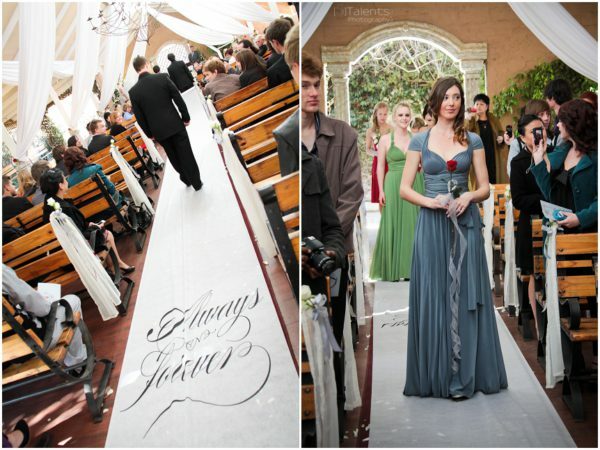 Ryan and Amy’s wedding on the other hand was truly a fairytale one…down to the finest detail. Horse and carriage arrival for the bride, exquisite chapel, majestic music, red carpet (oh, actually, I should say white…the runner was printed with Ryan and Amy’s special saying—Forever and Always). The tables were named after great literary romantic heroes and heroines—Anthony & Cleopatra, Romeo & Juliet, Rhett & Scarlett, to name a few, and the amazing wedding photos were done by 5 Talents Photography. As always, I did not allow the experiences to go unused. I drew on Amy and Ryan’s magical wedding and used some of the elements from there for Maggie and Davis’s wedding in A Courtship for Clover. This fifth book in my Seven Suitors for Seven Sister recently released in the box set, Picnics and Promises. The solo book is available in print. My goodness, how did you stay on your feet being so busy! What wonderful travel and wedding photo’s! It is so nice to “meet” you. My husband will be having our 35th Anniversary in a few days. We have been in the ministry 28 years; and raised our family in rural churches in Indiana. Hi Marion! What a romantic post! No wonder you write romances. Congrats on the Norwegian translation of Helsinki Sunrise. As a child, my father peaked my interest in Finland. I enjoy reading your Passport to Romance series, because I am an arm chair traveler and learn so much about another country’s traditions and culture. Love how you used your experiences in your stories. As the groom’s mother, it is a blessing to have such an input in one’s sons’ weddings. I also was blessed to have a big part in planning and implementing both my sons’ weddings. My sons’ weddings were also very different. One was a large church wedding and the other only parents on the beach. Your detailed description of the bridal party’s attire of the Blume sisters in Maggie and Davis’s New Year’s Eve Spring in Winter wedding was whimsical and breathtaking. Just like the photos above. Marion, you have a great eye for detail. 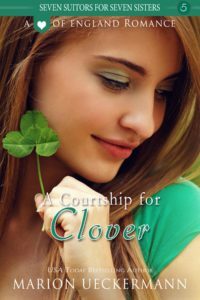 A Courtship for Clover is a delightful inspiring romance sprinkled with love and served with a huge portion of faith. 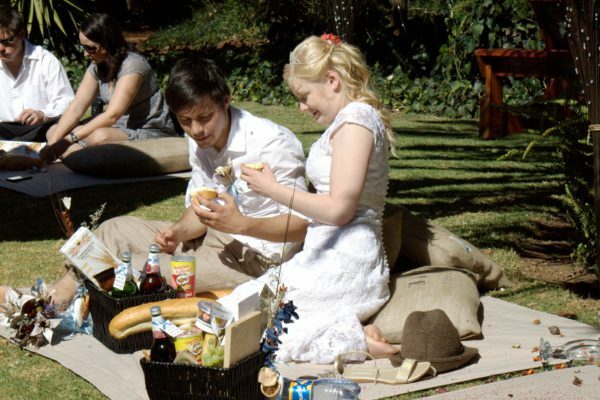 With today’s post I understand why Courtship for Clover is included in the boxed set Picnics and Promises. Well done! Glad your life is a little less hectic. Hard to believe we have been interacting for almost five years. I retired five years ago. Wow time flies! Best wishes! A beach wedding sounds awesome! Ooh, so glad you enjoyed Clover’s story. I loved hearing about the weddings and the inspiration behind your books. My uncle was from Finland. Hi Marion! First let me say I loved A Courtship for Clover and am trying to be patient waiting for books 6 and 7 to release. The Seven Suitors for Seven Sisters has been a fantastic series! This is a wonderful post, isn’t it amazing what mom’s can accomplish in a short amount of time when duty calls? Love the wedding pictures, but I’m curious about the three weddings. You said in the first, Kyle and Tiia were “legally married in court”, but in the second they truly became man and wife. The way you termed it is so intriguing, can you elaborate on the two? 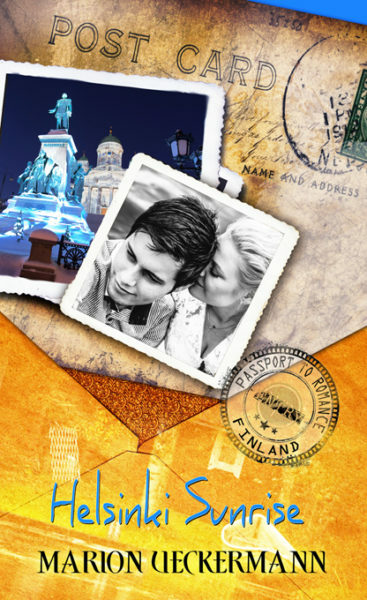 I’m going to go look up Helsinki Sunrise now, I’m sure it will be a wonderful read. I’ve loved everything I’ve ever read that you’ve written. Blessings to you and your lovely family! Tracey, so glad you’ve enjoyed my stories. Kyle and Tiia’s court wedding was purely to get the paperwork going for Kyle to immigrate but they did not consumate their marriage and lived apart until their father’s married them 2.5 months later. Ps. Enjoy Helsinki Sunrise. I loved writing it. 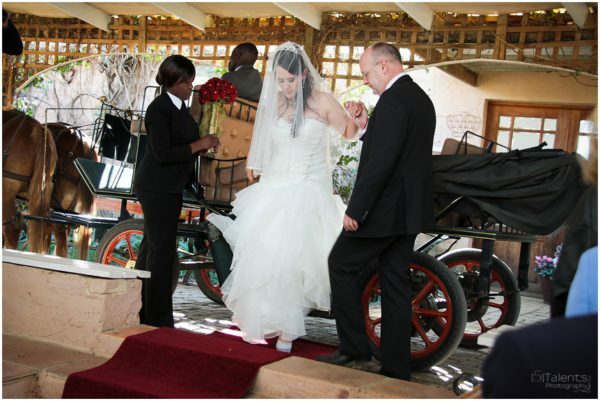 Hi Marion, thanks for sharing your lovely photos and telling us about the weddings! What an exciting time you have had! I am going to look into getting your books to read…don’t think I have read any but plan to correct that! Lol, I mean hope … Autocorrect!!! Wow, makes me tired just reading all you went through. Congratulations on both son’s weddings. Love the cover with your son and daughter in laws picture on it. Lol, makes me tired reading about it, too, Gail. Fun to read about the backgrounds for the books! I just read “Poles Apart” and was wondering if you did research for that during winter??? I did, Margaret. From visiting Santa in Lapland a festival days before Christmas, to jumping into an ice hole and rolling in the snow. Loved reading your post and seeing the pictures. You know I love your books. Oh my goodness, three weddings in a short period of time!! That makes me exhausted thinking about it :-) But wow, the pictures you’ve shared are so beautiful…congrats to the couples. I pray many blessings in the coming years for them. I love weddings, seeing the love on the faces of the bride and groom outshines the sun! We just did a renewal of our vows in April celebrating our 20th anniversary. Our church family attended (with the pastor officiating) along with my sister-in-law and niece, who weren’t able to attend our actual wedding. We had a wonderful reception afterwards with fellowship and wonderful food. What a fun time it was :-) We have special memories to treasure! It was exhausting, Trixi, but oh so worth it. We did a renewal near our 25th anniversary…it was a big church dinner where many couples renewed their vows. Was fun and special. Thank you for sharing your memories Marion. 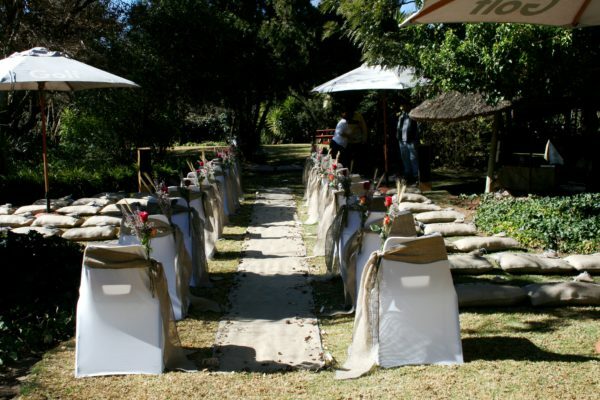 What a tremendous achievement to have organized those weddings in such a short space of time. I so admire the amount of energy you have and your zest for life. May your books continue to flow from your experiences of life and your active imagination. Well done. You are what they teach about being a writer you write what you know. What lovely weddings! It’s tiring but so fun to have a hand in the planning of a wedding. When we lived in FL, I planned the weddings of my two daughters, two years apart thankfully. They both lived somewhere else, so most of the running was up to me. The day of the second wedding we had to clear dead seaweed from the beach, and that put us behind schedule. We handed the torches that made the aisle to the guests to plant in the sand because we didn’t have time to do it beforehand. Thanks, Merrill eek. I was so much work, but so much fun. I did it on the proviso they knew I was doing it as their wedding planner, not mom or MIL. 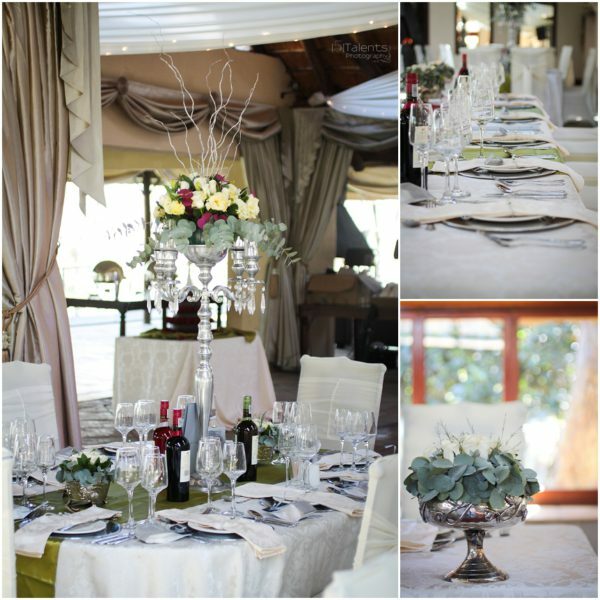 Beach wedding … how romantic! 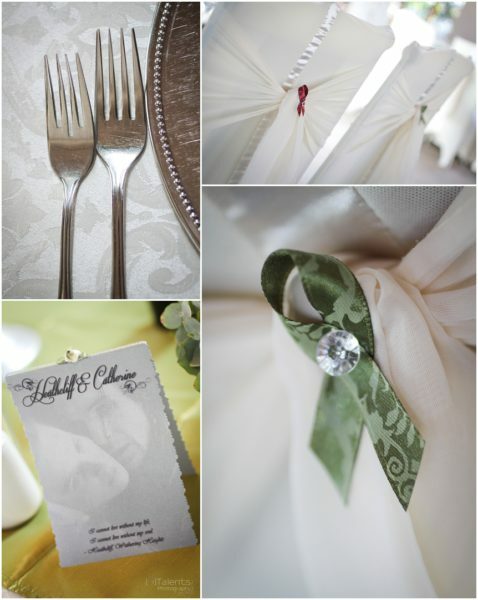 Beautiful pictures of the wedding. I look forward to reading Clover’s story. How exciting you got to be so involved in your sons weddings!! I enjoyed reading Clover’s story and the wedding– it’s exciting that all the books seem to go back to following Magnolia and Davis’s story and you’ve connected it to your son’s wedding. It could have been easy to have missed Rose, Priscila. The book was a solo release, ie. not in a box set at all. Glad you’ve enjoyed the link back to Maggie and Davis. I’m sure you’ll enjoy the fact then that you’ll still get to see a glimpse of Maggie and Davis in the new multi-author 9 book series I’m starting to write (I’m doing Book 1 and 4) which is set in Tuscany. My hero in Book 1 is one of the minor characters from A Romance for Rose. I always enjoy your posts, and I loved Clover, as well as the others that have been released so far in this series! Thanks, Becky. I must say that I am having fun writing the Blume sisters’ stories. And I really enjoyed writing Clover’s story.